Home Dining Chefs and Restaurateurs Ricardo Zarate Says He Isn’t Done with L.A. Chef Ricardo Zarate first made his name at Mo-Chica, which started as a Mercado La Paloma food stall and became a Downtown restaurant. Ricardo Zarate Says He Isn’t Done with L.A. 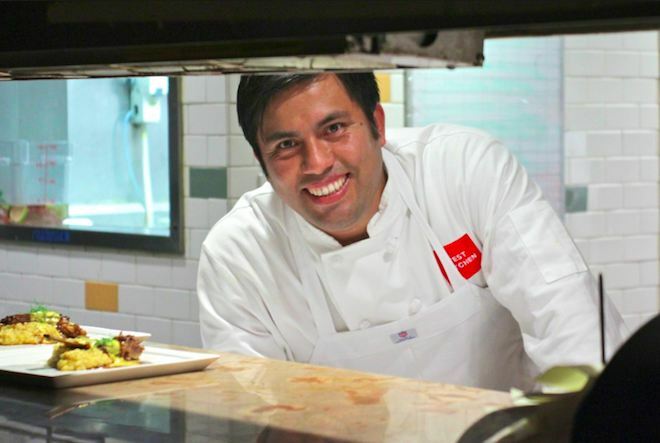 In the wake of the news that Paiche is closing, sources tell Los Angeles magazine that the staff at Mo-Chica–the Downtown restaurant at the heart of what was once chef Ricardo Zarate’s restaurant empire–has been informed that it will be shuttering in the coming days. Zarate has heard the news about both restaurants, which was first reported on Eater L.A., but declined to confirm it because he is no longer involved in their operations. He does acknowledge that this is a sad day for him. Despite what is “obviously very bad news for me,” Zarate says he remains grateful that he’s had the opportunity to showcase his Peruvian food in Los Angeles. He insists he’ll continue to do so in the near future.